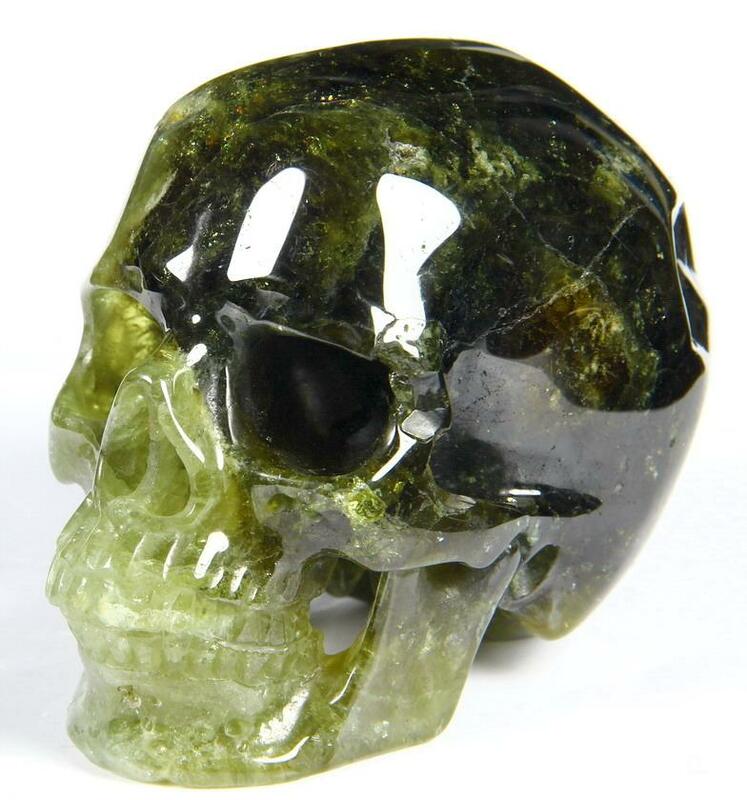 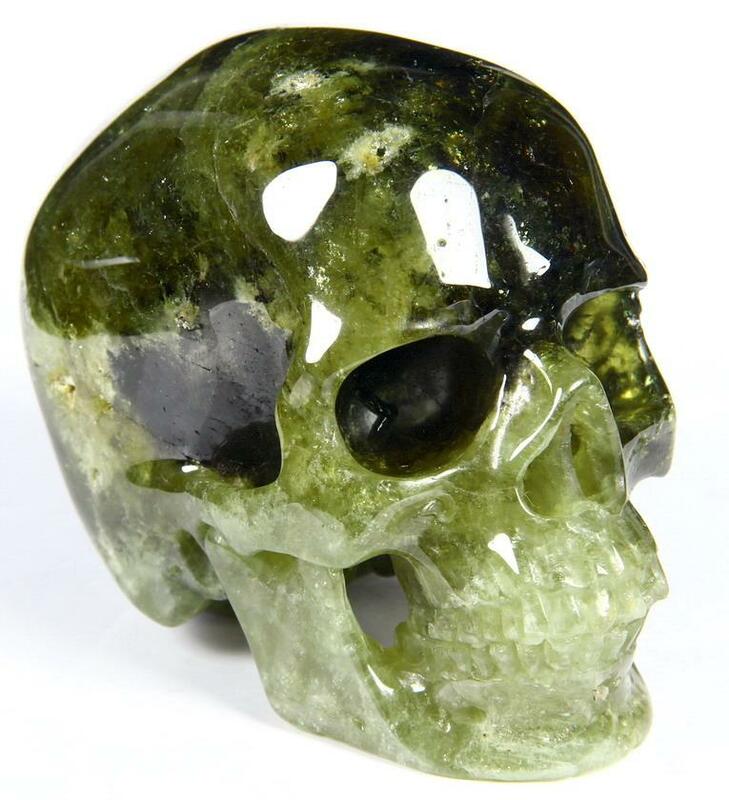 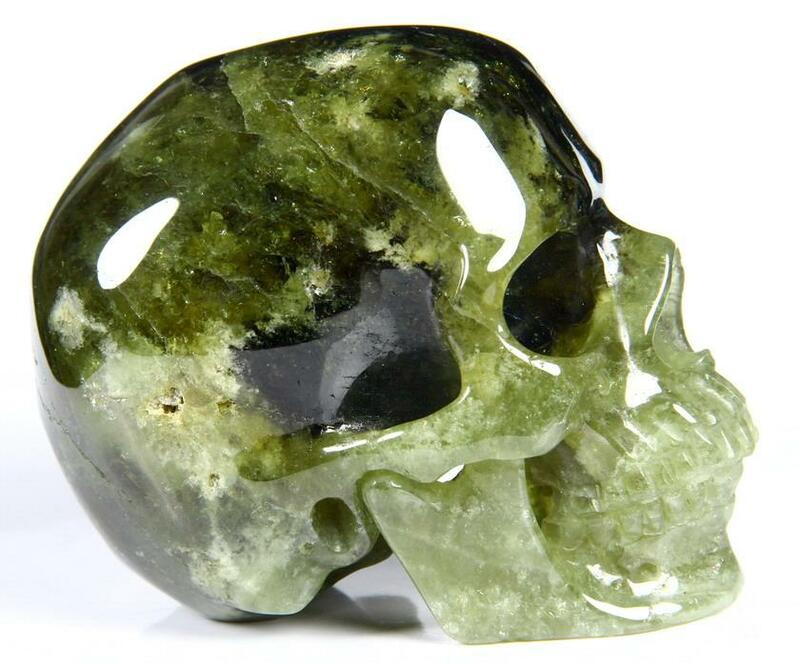 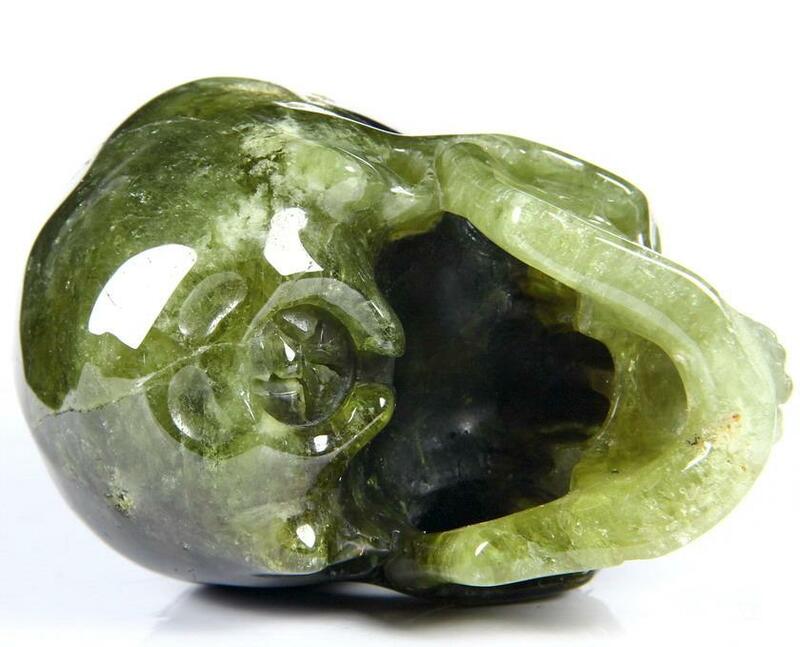 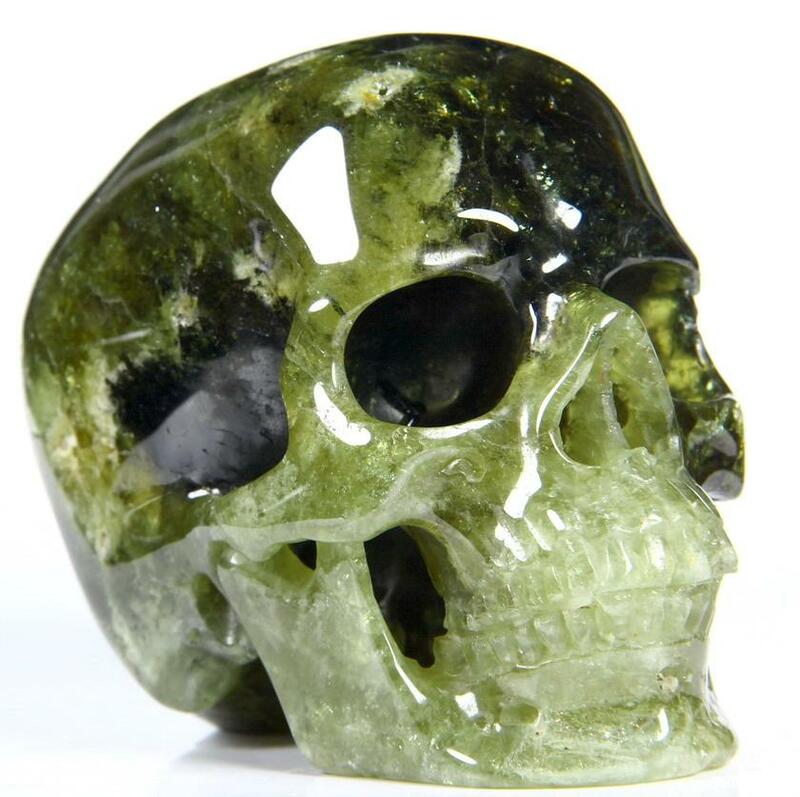 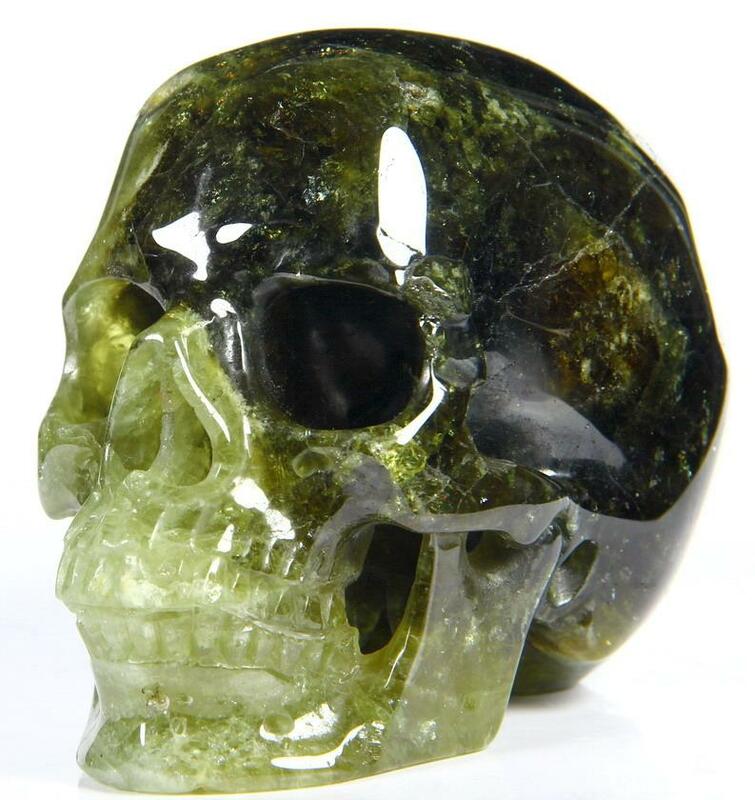 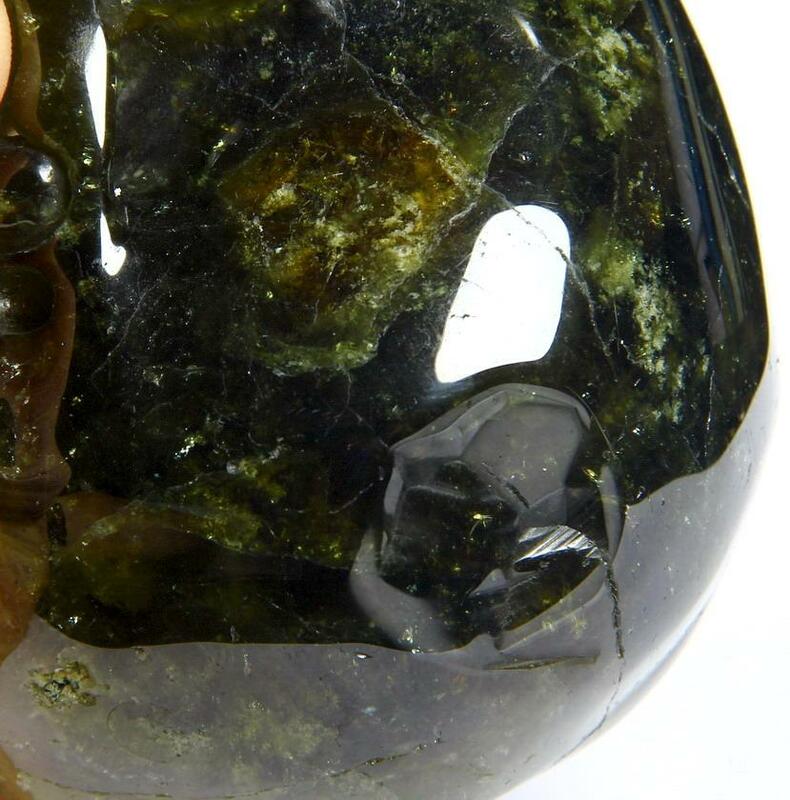 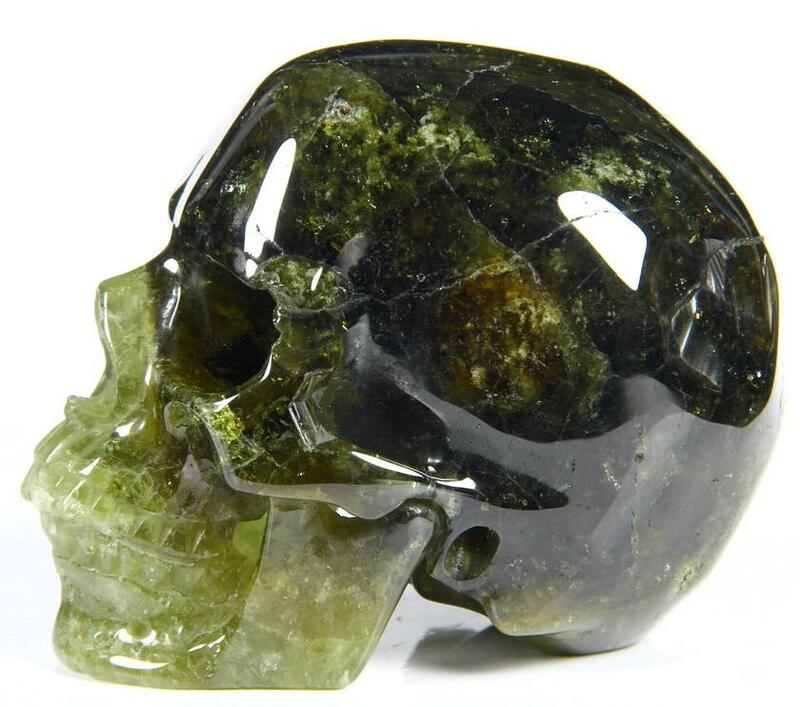 You are looking at an Green Garnet skull. 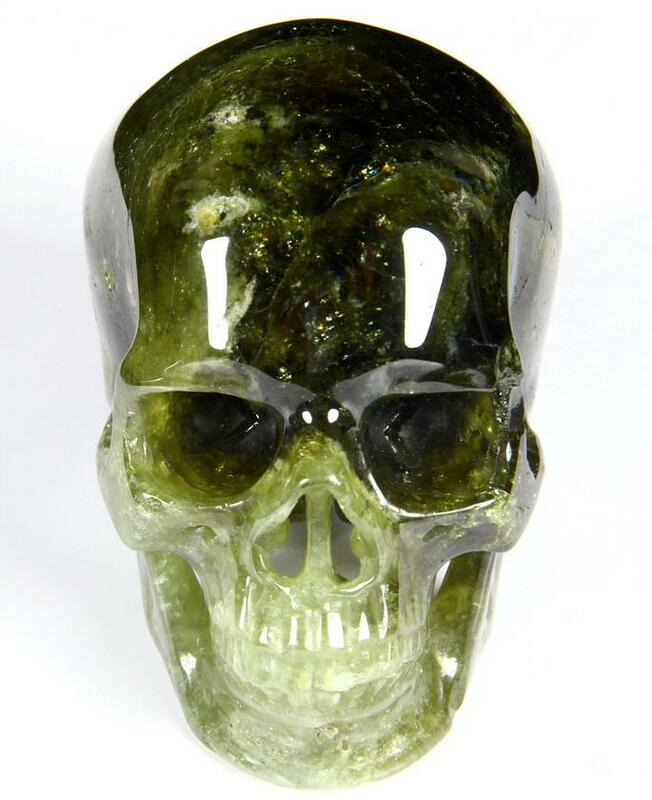 the skull is 3.5 inches long from front to back. 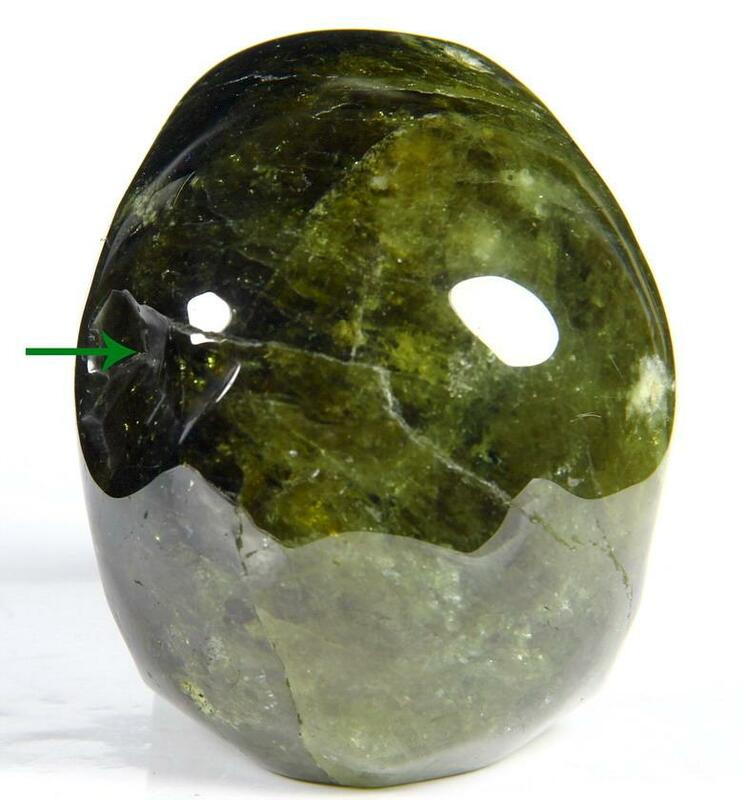 Please note: Please pay attention to the part where the green arrow indicates, it is broken during carving, but it is polished, and it is smooth to touch.